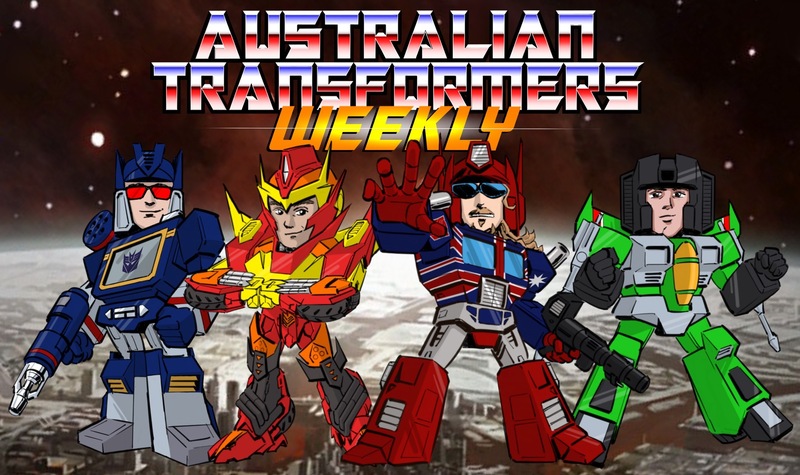 Welcome to Australian Transformers Weekly, bringing you transformers news from around the world. and a lot more coming up after this. Bot Shots Weekly encourages you to take your bots out of their cabinets and into the great big wide world outside for photos! Monthly winners go into a hat for a yearly prize! Please do! We love listener feedback. Australian Transformers Weekly is a production of Transformers Collectors Club Australia. TCCA is a registered club in Victoria, run by volunteers who donate their time and money to make the club better for everyone. Our goal is to connect Transformers fans around the country and we do it by engaging the collecting community. That’s all from us, we’ll be back with more Transformers news next week. And we have our first look at box art for siege omega and skyfire. -bee references the movies and having no voice box. -set before the war yet it's the same characters we already know. Did no one die in the war? -so acientacons are Pre decepticons? On tonight's show we siv through the dregs dispersed by the Toy Fair juggernaut. 00:04:38 There's Another MP10 Release coming! Transformers Masterpiece MP-10 ASL Convoy Atmos Safari Lebron Ver. Welcome to Australian Transformers Weekly, bringing you transformers news from around the world but mostly New York Toy Fair. But if we run out of toy fair reveals we cave some new 3rd party figures revealed as well. All that and more coming up after this. Episode 182 is here, and not only do we dislike the new mp bee, but we quickly discover the new netflix animated series might be garbage as well. And what's in store for cyberverse in 2019? 00:43:12 Wonder Festival – MPM8 Megatron, MP-10 x Atmos, MP-44 Optimus, MP Hound Proto and More! And how much do you want a nemesis Devastator? 01:03:46 RUMOR: Takara Tomy Masterpiece MP-45 Bumblebee 2.0 In The Works? Supanova Melbourne booked, see you guys there. And machinima wipe thier transformers product from existence. 00:04:04 Siege figures now in Australia, and we have some. 00:32:40 Transformers: Bumblebee 2 In The Works? And there's a new siege figure on the way. -keep a eye out for local Australia Day meetups.